GEIR hails from Norway and is recreating the AMERICAN DREAM! Starting in a new country from nothing and now designing Fragrances and Cosmetics. Success built on freedom, passion, determination, creativity, and guts! Laila is now popular through out the United States and Europe. Geir’s product line is now a staple of CELEBRITY SWAG, worn by an A-List HOLLYWOOD Crowd! Alex Graham - Question: You are an international businessperson and multi-lingual. Moreover, fluent in English, how did you learn the English language so successfully? What learning point(s) did you find the most difficult and how did you overcome it (them)? Geir Ness - Answer: The best way for me to learn the language was to read the newspaper and watch Television. But also we started to learn English at school in 4th grade. Even though that was only a couple of hours a week, it helped when you got out in the big world. The most difficult pronunciation point is when you have letter ‘W’ and ‘V’ for Norwegians. In Norway, the most natural way to pronounce for example water will be with a ‘V’ and not with a ‘W’. Alex: What did you find the most challenging about getting into the fragrance industry? Geir: A lot of competition and not having any money to promote the brand. I had to use myself and build myself up as the brand. 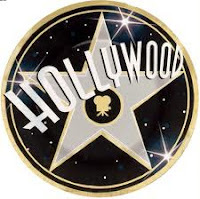 Alex: What Hollywood stars have you met and which ones love to use/wear your products? Geir: I have been lucky to have met a lot of my favorite stars. Some stars that have received my scent are Madonna, Beyonce, Halle Berry, Melanie Griffith. I also heard that Paris Hilton uses my scent even though she has her own fragrance. Alex: Mr. Geir Ness, you donate your “time and money” to many charity groups such as: Iam4kids, which helps and promotes kids to stay in school. Geir: Yes. I think staying in school is such an important thing and especially in today’s world. Alex: Yes, I couldn’t agree more with you! What else have you been up to in the charity area? Geir: I am also involved in several cancer organizations. I have worked with Susan G Komen, and last November I ran the New York Marathon to raise money for my friend Grete Waitz. Grete is truly amazing; she has battled cancer for several years and won the New York Marathon 9 times. Alex: Wow! What strength! That is so inspirational! Alex: Los Angele's Aids Ride, Norwegian Cancer Society, Chicago’s Children Medical Research Foundation, Susan G. Komen Foundation…The list is enormous! As a philanthropist with a ‘big heart’, please tell us what “I AM 4 KIDS” means to you? Geir: That the children will have a future!!!! Alex: THANK YOU for taking time out of your supremely busy schedule! GEIR NESS - He brings passion and charity to all his endeavors. If you would like to know more check out the links below! To meet Geir in person, go to the Laila website for his live scheduled events! Geir Ness and Greta Weitz! Fighting Cancer one stride and bottle at a time! A BIG THANK YOU GOES OUT TO BEATRICE DAVIS OF SASSY B WORLDWIDE PRODUCTIONS FOR CROSS-COLLABORATING WITH CELEBRITY ENGLISH!